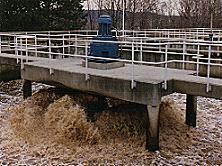 The Purestream, Inc. AER-O-FLO Extended Aeration Package WWTP is the perfect solution for municipal strength wastewater requiring secondary treatment. The Sigma Low Speed Surface Aerator is by far the worlds most reliable and efficient surface aerator available. The first installation was put into operation in 1968 and has never been replaced. Available in floating and fixed bridge models from 3 to 150 H.P. The Purestream, Inc. Package Rotating Biological Contactor System provides primary, secondary, and/or advanced treatment in one complete package. Purestream, Inc. was the first US Company to offer a Package Sequencing Batch Reactor back in 1987. With about 100 US installations Purestream is one of the leaders in SBR technology. 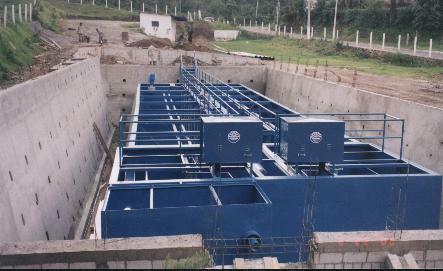 Advanced waste treatment systems in pre-fabricated steel or field erected steel or concrete tanks.